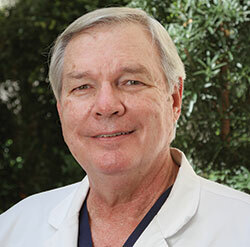 Dr. Morgan’s goal is to know the needs of each patient while administering sophisticated, compassionate medical care. He is a Board Certified OB/Gyn with additional qualifications in menopausal care and bone densitometry. He has practiced in Houston for over 35 years. His attractive office is conveniently located in the Museum District with easy access to the Medical Center. His area of special interest is management of menopause and osteoporosis.